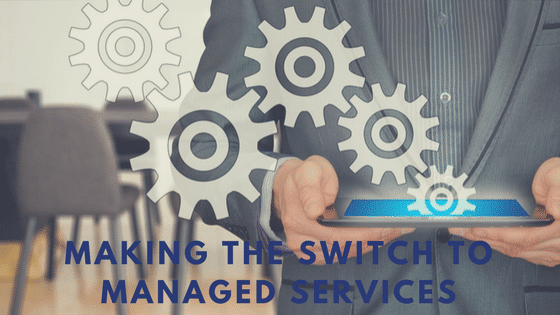 When the time comes to make the switch to Managed IT Support, it is important to know what you are looking for from a provider. As most business owners have or are beginning to realize, there are plenty of benefits that can be realized by bringing on a managed services provider to address IT and other needs. In order to get the most from your managed services contract you must carefully compare all potential providers to ensure they are willing and able to provide the services you need to keep your business moving forward in the future. If your managed services provider cannot supply the following three things (at minimum) keep looking until you find a company that addresses these issues. Security – The managed services provider that you choose should work with vendors that guarantee security. This is imperative when trusting an outside party to handle and maintain private and confidential data that is crucial to the running of your business. Service providers should provide detailed proof of security procedures as well as how they intend to keep abreast of changes in the industry. Recovery – Managed IT Support providers are not only contracted to help keep the day-to-day running of your business going smoothly. They are also an important part of any recovery situation that follows a natural or man-made disaster. It is important to discuss with potential providers what procedures they have in place to guarantee your downtown will be minimal and that you will be up and running as soon as possible after an emergency. These precious minutes and hours can make or break the recovery of your business. Customer Service – As with any other business, if there is no customer support backing up the products or services, there isn’t much of a commitment from the provider. Originally these services were provided to large corporations while small to medium size companies struggled to maintain an IT budget that was often more expensive then beneficial. 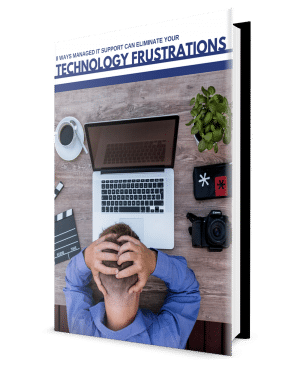 Managed services providers charge a flat, or monthly fee, making it possible for smaller businesses to reap the benefits offered at a much lower price than in-house IT staff or outsourcing on an as needed basis. The Managed IT Support platform continues to grow as many businesses look for ways to reduce costs in this tough economy. By offering technological services that might otherwise be beyond the reach of a small business budget, managed services make it possible for smaller businesses to remain competitive with others in their industry. Small business owners must take the time to carefully review and research each provider before signing on the bottom line. For more information, read these 3 concerns before you hire a Managed Service Provider. A good managed services provider can change the way you do business- in a positive direction, whereas the wrong choice could be a costly mistake that does more harm than good to your business. Enter your name and email for instant access to the FREE PDF!